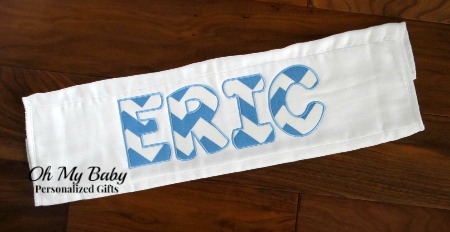 Personalized burp cloth with name applique. 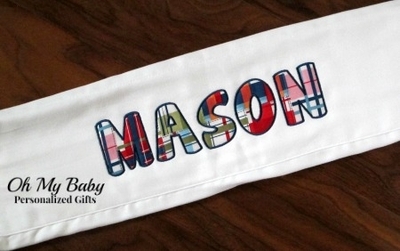 Large name applique is centered in the middle of the burp cloth. Choose any fabric and trim color to create your own special burp cloth.